Teesside graduate Andrew Scott has fulfilled a teenage ambition by qualifying and working as a Barrister. 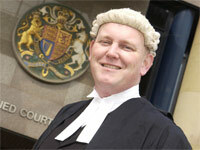 Barrister and Teesside graduate Andrew Scott. His legal career is a sharp contrast to his previous 14-year career in nursing. 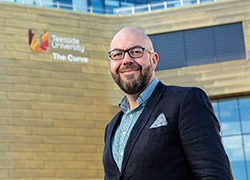 Andrew’s dramatic career change was launched by his First Class Law degree from Teesside University, achieved after five years of part-time study. After disappointing A-level results Andrew trained as a nurse at Middlesbrough General Hospital, with his last post at the University Hospital of North Tees, as an anesthetics nurse. 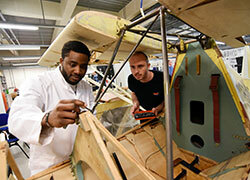 He later resat his A-levels as a mature student. Tribunal leads to Law degree Andrew’s legal career began in 1996 when he represented himself in a tribunal against a trade union. The tribunal’s outcome was successful for Andrew, and the opposing Barrister approached him afterwards, asking if he had ever considered a legal career. After achieving consistently high marks, Andrew successfully applied for a Master Bedingfield Scholarship from Gray’s Inn, London, gaining an interview place alongside Oxford and Cambridge graduates. This enabled Andrew to fund a one-year Bar Vocational Course in Newcastle, setting him onto his new career as a Barrister. His 12 month pupillage (a legal apprenticeship) was at Doughty Street Chambers in London. 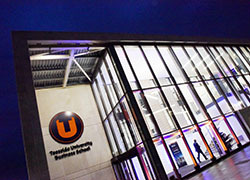 A fantastic journey Andrew added: ‘Without a shadow of a doubt going to Teesside University changed my life. It’s been a fantastic journey qualifying as a barrister but now I have a job that’s intensely interesting and rewarding, you can help people who are sometimes in dire circumstances.